Mahidol University offers a Ph.D. degree in Systems Biosciences. The Systems Biosciences Program at the Mahidol University Institute of Molecular Biosciences was established in 2015. The program is designed to prepare graduate students for careers in integrative research and teaching. Faculty members on the program come from various fields including stem cell biology, thalassemia, cell and gene therapy, vaccine development, virology, structural bioinformatics, drug discovery and nutrition. We offer remarkably diverse graduate research training, spanning the entire breadth of modern and integrative biology, from molecules and cells to complete systems and humans through multi-omics approaches. The program is best suited for students who are independent, who want to play a role in determining their graduate education, and who wish to combine concepts and techniques from different areas of medical science in their research. 1 a Master’s degree in medical science, biological science or related area from a Commission on Higher Education accredited institution. 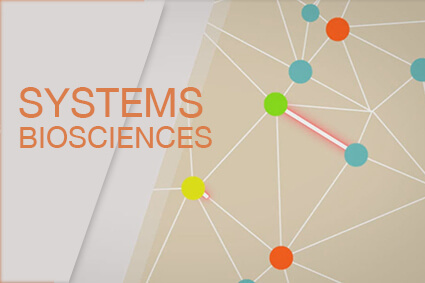 Systems Biosciences program offers partial or full scholarships for Thai and international students. There are 10 scholarships available with partial support from “The 60th Year Supreme Reign of His Majesty King Bhumibol Adulyadej” program. The Thailand Graduate Institute of Science and Technology (TGIST) scholarship from the National Science and Technology Development Agency (NSTDA) which fully support the thesis in collaboration with NSTDA is also applicable. The “2017 Mahidol Postgraduate Partial Scholarship” offers 4 scholarships with partial support. Surapon Piboonpocanun, Ph.D., Assoc. Prof.
Saovaros Svasti, Ph.D., Assoc. Prof.
Narisorn Kitiyanant, Ph.D., Asst. Prof.
Alisa Tubsuwan, Ph.D., Asst. Prof.